Sarah S. Ambrogi founded Ambrogi Law Office in Manchester, NH in 2012, a law practice focused on trusts, estates and elder law, after many years as a principal with the Curtin Law Office PLLC, a Manchester firm with a similar practice focus. She has over 20 years of experience practicing law, most of which she has spent focusing exclusively on estate planning, elder law and probate. 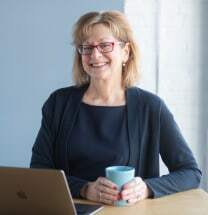 She is a past co-chair of the New Hampshire Bar Association (Elder Law, Estate Planning and Probate Section) and a member of the New Hampshire Women’s Bar Association and the New Hampshire Estate Planning Council, for which she currently serves as a director. She received her B.A. degree from Yale University and her J.D. degree from the University of California, Los Angeles, School of Law, and is admitted to practice in California as well as New Hampshire. Sarah also serves as an elected member of the school board in Manchester, NH and as Trustee of the Episcopal Diocese of NH.